It’s Valentine season and honestly, with all that’s been going on with the world, this year deserves a celebration of love. 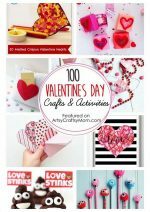 A great way to spread the love is by having a Valentine’s theme party at home, complete with heart decorations! Even if you’re not into organizing a party, set the atmosphere in your home for some loving. And you don’t have to break the bank for it, infuse some love in the preparation by making the decorations yourself!! 1. Hugs and Kisses Bunting – This beautiful bunting is very easy to make, and the template is available for download. Print, pierce a hole and string – all done!! Easy for toddlers to help out with. 2. 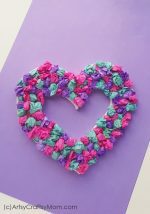 Crochet Heart Garland – If you’re into crochet, you’ll enjoy making these crochet hearts. There’s even a video to help! String them together and hang it on a blank wall to really bring out the red hearts. 3. Floating Heart Backdrop – With a backdrop like this, you can be assured of having a valentine romantic mood throughout your home! 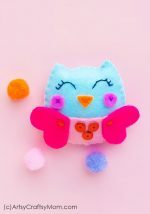 Even kids can help make this by using a heart punch and card stock in multi colors. 4. 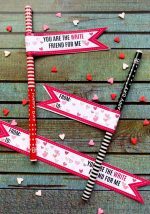 Rustic Valentine Banner – This banner is perfect to add some old world charm to your Valentine party. With some jute fabric and basic supplies, you can customize it to your liking!! 5. 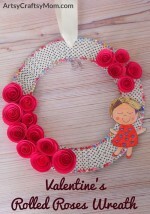 Tulle Heart Wreath – This is a DIY that is a lot easier than it looks!! With a basic heart shape and lots of pink or red tulle fabric, you can create a stunning Valentine wreath to adorn your front door. 6. Heart Marquee – Make this heart-shaped marquee to literally light up your Valentine’s Day. This takes a little effort, but it’s sure to knock your guests’ socks off! 7. ‘LOVE’ letters – No, these aren’t the sweet nothings one writes to their lover, these are literally letters of the alphabet. With a little patience (and lots of glue), you can spell out this four letter magical word and decorate your home. 8. Heart Sun catcher – These beautiful sun catchers are great for kids to make, and they really look gorgeous when the sunlight filters in through them. Stick to Valentine theme colors to keep them consistent. 9. Valentine’s Ribbon Tree – This cute little tree makes a great centerpiece for your table during your party. It’s sure to catch everyone’s attention without being in the way and all you need is a cone and lots of ribbon! 10. Valentine’s Sunburst – This is an impressive display for Valentine’s day. You can use any shape and any material, not necessarily wood, to build this relatively easy decoration. 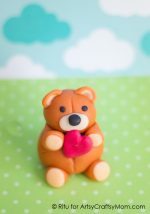 How do you plan to celebrate Valentine’s Day this year? Which of these decorations are you likely to make?